A brilliant display of bright, crimson flowers. 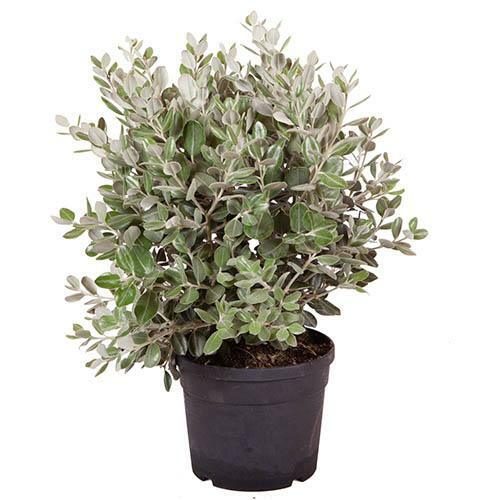 Grow a little piece of Maori tradition in your own home. A brilliant display of fluffy, crimson flowers and downy silver leaves, you really do have to see it to believe how stunning it is. 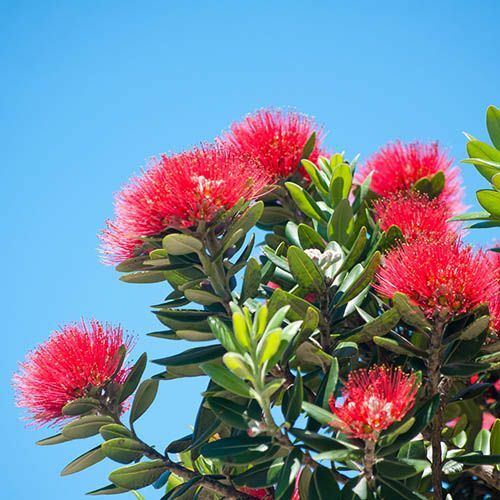 Known as the pohutukawa, the New Zealand Christmas Tree has become an iconic symbol for New Zealanders. 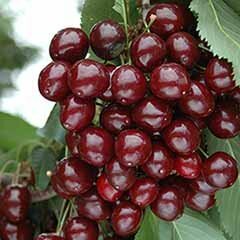 A resilient and easy to grow tree which will need protection over winter. 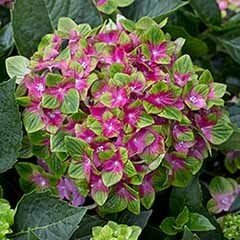 Supplied as an established plant in a 3L pot, ready to pot on. 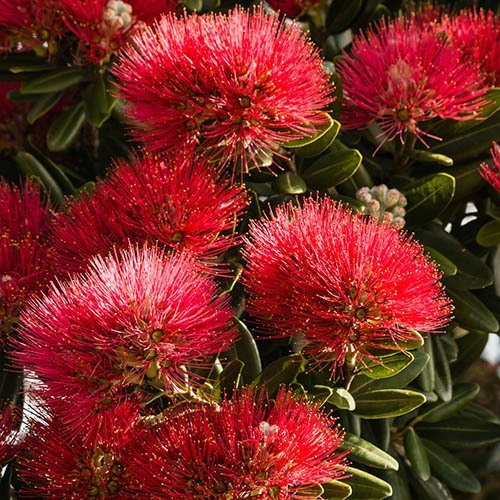 A member of the Myrtle family, the New Zealand Christmas Tree is an evergreen tree that produces a brilliant display of crimson flowers made up of a mass of fluffy stamens - you really do have to see it to believe how stunning it is, and it's little wonder that it has become an iconic and established part of the New Zealand Christmas tradition. 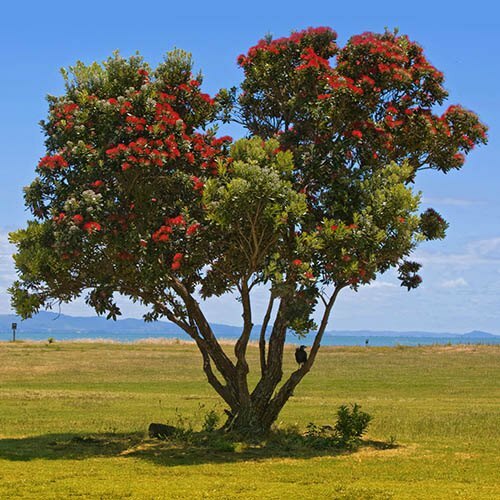 Known as the pohutukawa, this iconic Kiwi Christmas tree, has become an important symbol for New Zealanders at home and abroad and is considered by Maori to be a tree of chiefs, full of strength and beauty. 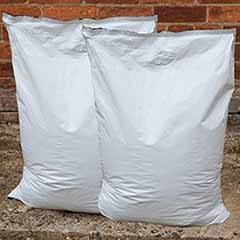 Tolerant of temperatures down to 1°C (34°F), the NZ Christmas tree is will not survive being frozen, so we recommend that it is grown as a patio specimen in a large pot grown in a conservatory or cool greenhouse or at least brought inside for the winter. 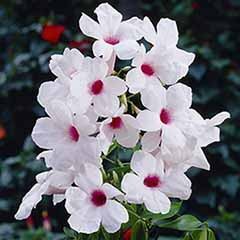 Other than that, this is really a resilient and easy to grow tree - renowned for its ability to survive even perched on rocky, precarious cliffs or tolerate formative pruning as a hedge, and with their gnarled roots and branches, pohutukawas make an ideal subject for bonsai. 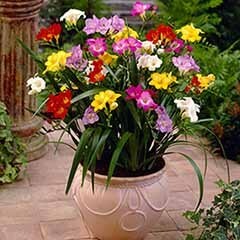 Plant into a large decorative container for best effect. 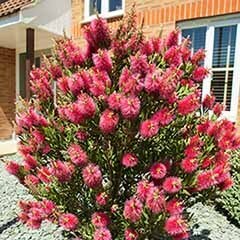 Grow pohutukawa in a big pot and apply a liquid feed to small trees throughout winter - it'll make them more resilient. 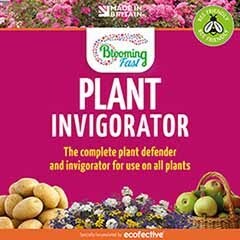 Tree health can affect the amount and colour of the flowers, so keep them well-fed and regularly watered. 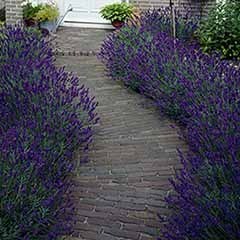 Plants can be lightly pruned immediately after flowering to maintain shape. Bigger plant than what I was expecting so was pleasantly surprised.